Topic: What Gearbox to go for ! Re: What Gearbox to go for ! What Gearbox to go for ! Guys just floating this, but with all the new Lambretta cases offered up now for sale what offers the best option in terms of changing main drive and mag side bearings? Is it the Misano ? 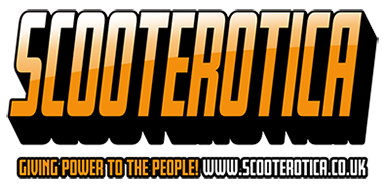 Thanks I was just researching to advise our 30 scooter club members who are uncertain. My view is MOT this year as the guidance on ‘substantial changes” completely ambiguous, hence MOT’d mine personally as a 225 engine in a 150 frame. Thanks both presumably with the 110 rod just pack the base gasket end and usual squish …..